Its former state was this, which just has to be really bad karma. This has been sitting like this for longer than I care to say. I have been frustrated by my lack of completed projects lately and banging this out was super gratifying. 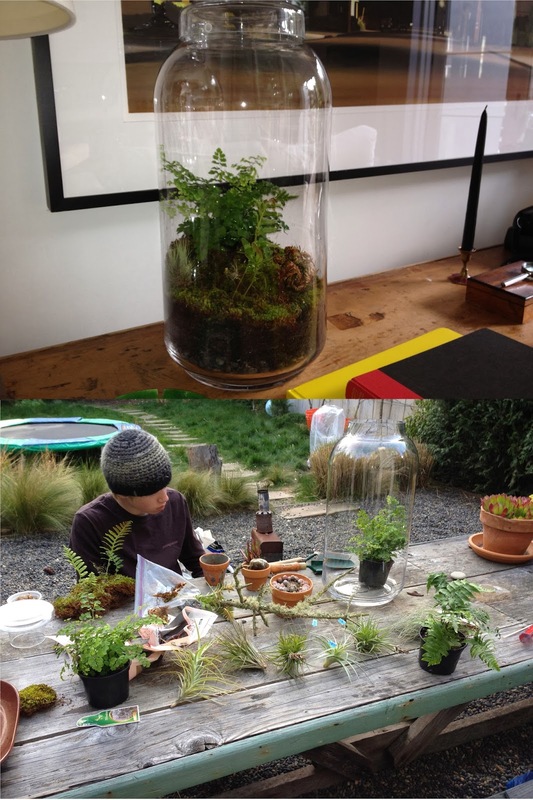 Making a terrarium is not rocket science. The only important trick I feel is to work dry -the plant shouldn't have any droplets of water on the leaves, the potting soil should be as dry as possible, and obviously the container should be freshly cleaned and dried thoroughly. 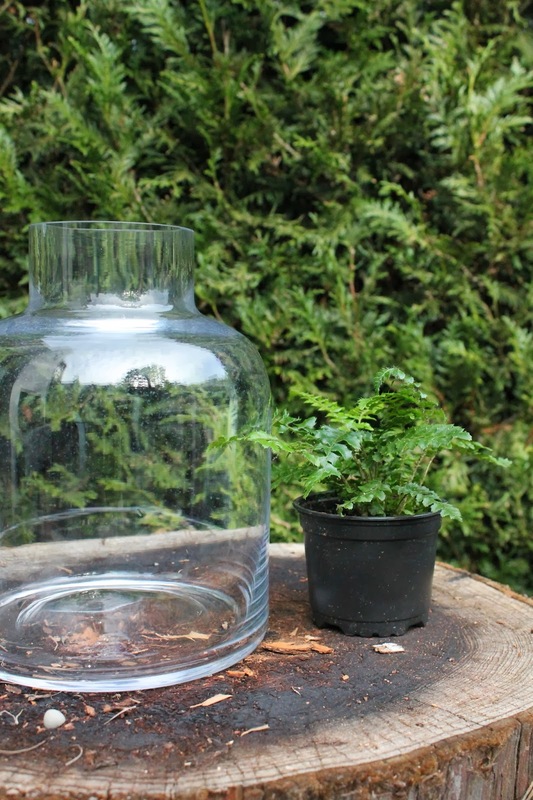 This keeps the soil from sticking to the glass and leaves of the plant as you add it. I only used a 4" fern in this. Sometimes I fill the bottom of the vessel with small pebbles for drainage but skipped that here. Terrariums fog up if they get direct sun so I chose a plant that will be happy in a moist environment but not need direct light. I want this plant to be bursting out of this container. First drop in the plant, then add dirt. 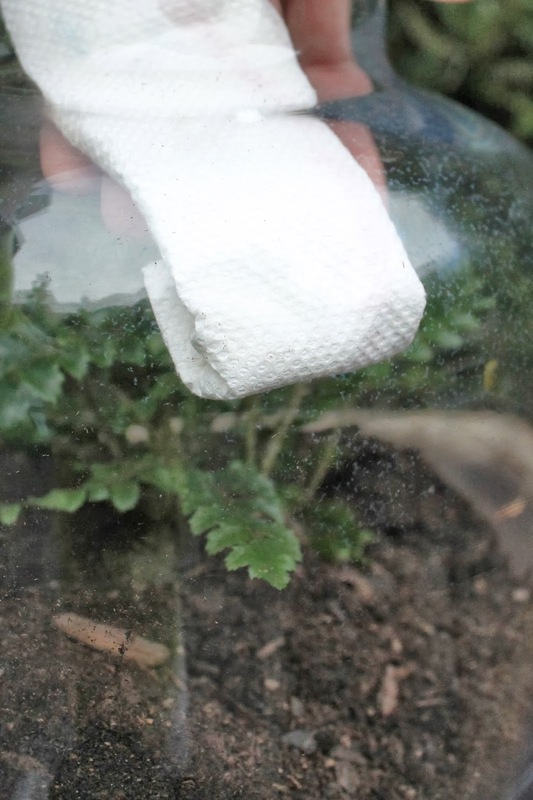 Shake the leaves around to get all the dirt off them then wipe down the inside of the glass with a paper towel. Water sparingly after. 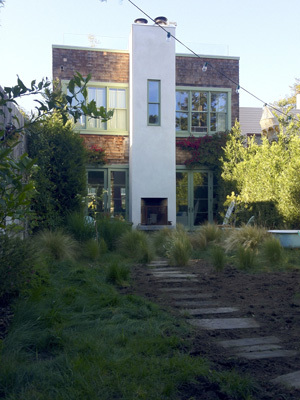 Better to add water over a few days than to overwater the first. 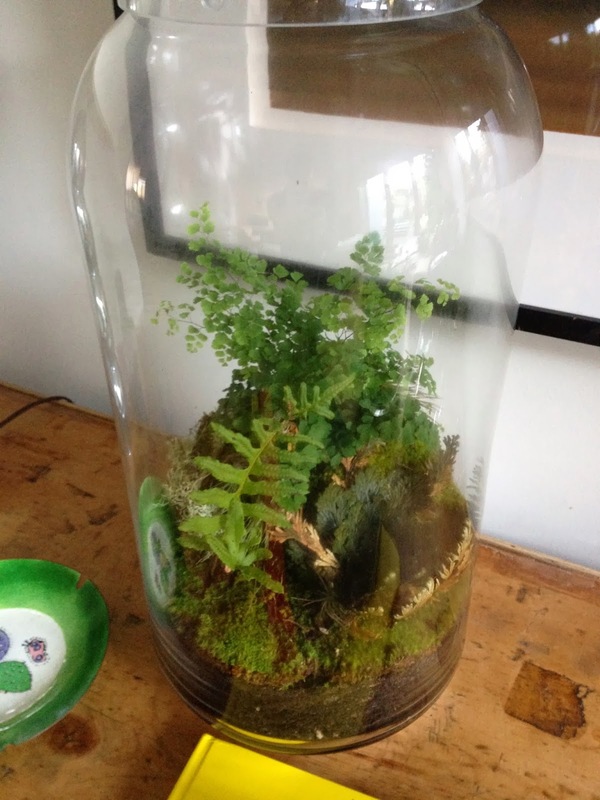 I have made many terrariums in my day. They are a good auction item for school fundraisers and always a good gift for the right person. Here's a more ornate one that Ethan and I made a couple years ago. Comparatively, this is a plain Jane but still nice none the less and a huge improvement to what was in there before. Go ahead, let me know. 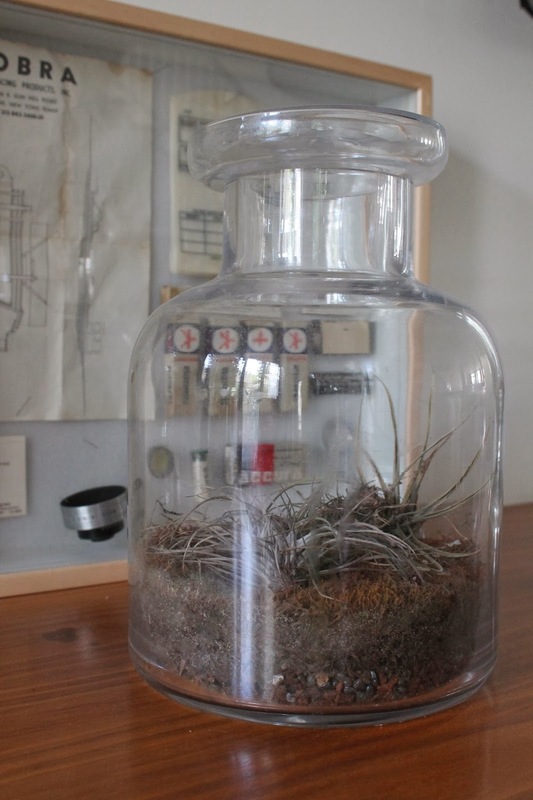 Terrariums: Cliche or still OK? Love it ! Looks so fresh and clean ...! 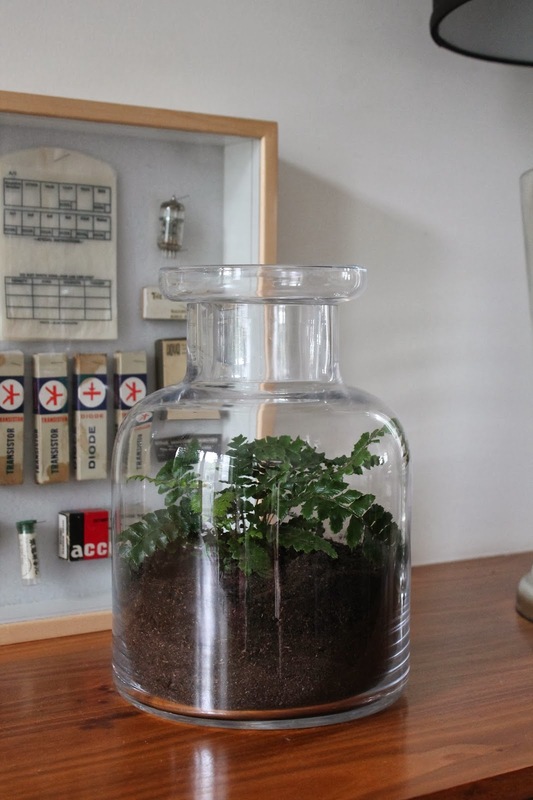 i havent made Terrarium for a while ! 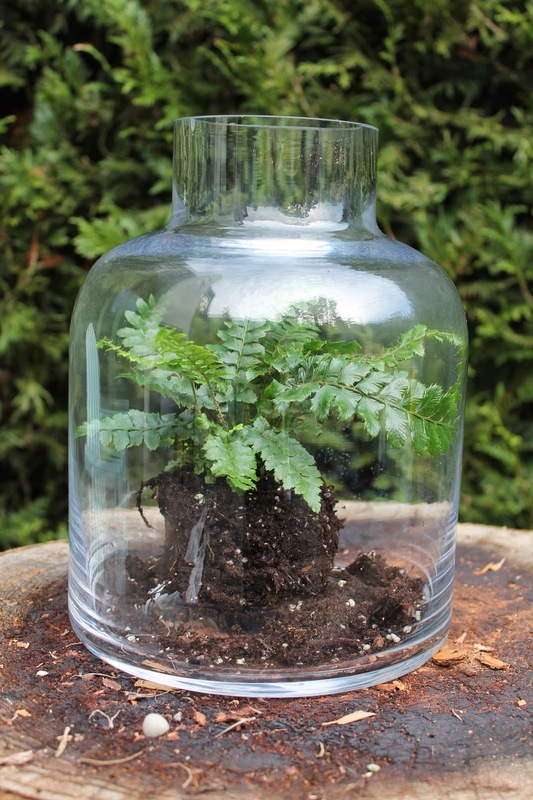 I should this with the kids great project :) and i have some old fashion cookies glass jars that need to be put to use . Love how it turned out! I have been meaning to jump on this bandwagon too:-). Maybe in Spring. Definitely still ok I my book. we made ours yesterday as a family project and use rocks and pinecones from the kids walks ( they always come back with pockets full of surprises ! 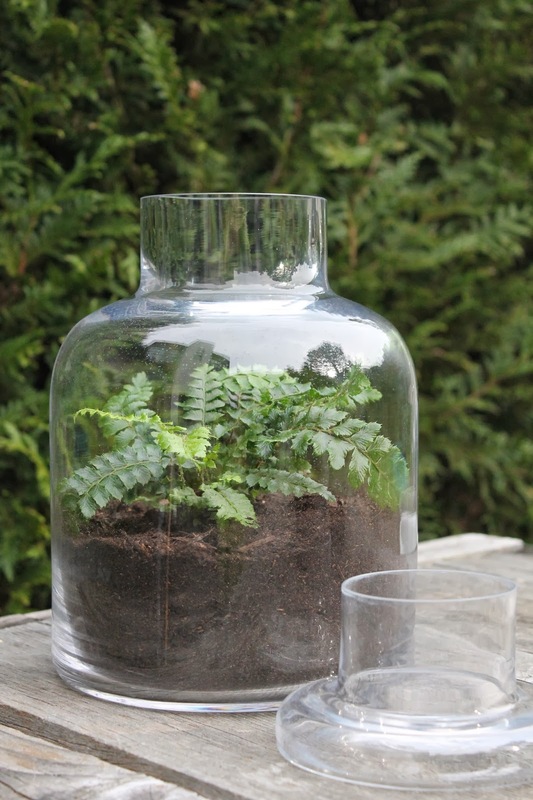 lol ) i cheated so my fern is already coming out of the glass bowl . Kate at 4 month ( on the 26th of this month ) is sleeping from 8:30 pm to 7:30 am without feed ! both boys were the same we are lucky we have good sleepers !